40 years ago Goodwood held its last Formula One race. It was the final year of the 1.5-litre formula, which despite its critics provided some of the finest racing ever at the Sussex track. By Gordon Cruickshank. Photography by James Mann. That's a flavour of how it felt in 1961 when the new rules for grands prix, in an effort to reduce speeds after a rash of fatal crashes, specified 1.5-litre engines. It hadn't been too hard for a privateer team to get hold of a suitable engine for the previous 2.5-litre formula, but now many team managers realised they already possessed the goods to go grand prix racing. Last year your 1500cc Coventry-Climax was an F2 engine; this season it's grand prix power. Ditto your Cooper or Lotus chassis. You might not expect to win, but you'd be in there with the big boys. And as long as the race organisers offered decent starting money, even the big boys would come to your non-title race. There were eight grands prix in that 1961 season, but there were 24 other F1 races on top. And the first pure 1.5-litre race of the new era for British fans was the Glover Trophy, held at Goodwood's Easter meeting. The new rules weren't being greeted with enthusiasm, though. The British makers had spent time arguing against the capacity change instead of building new engines, and neither BRM nor Coventry-Climax had their 1500cc V8s ready. Unlike Ferrari, which had a new V6 ready from the off. While many drivers disliked the plan, it seemed a godsend for privateer entrants. "We just fitted a starter, battery and rollover bar and suddenly we were in Formula One!" So says Tony Marsh, who as well as conquering the hills raced "on a broken shoe-string" in F1. Ken Gregory, running BRP, one of the first fully-sponsored teams, also approved. "It was an easy route into F1 as everyone had a Climax. 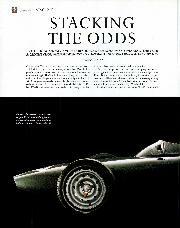 Our difficulty was that Charlie Cooper couldn't build enough chassis to supply us, so we had to buy Lotuses. Everyone had the same engine and there were very few mods. We did try a titanium crank and rods to get a few extra revs, but it didn't work." Non-championship it may have been, but the front row of the Glover grid still boasted Stirling Moss, motorcycle world champion John Surtees, Roy Salvadori and Graham Hill, with Tony Brooks, Innes Ireland and Henry Taylor behind. Ferrari preferred to wait for the first title GP, at Monaco, while Lotus had sent Jim Clark to the rival Pau race the same day. But if the engines were small, they were closely matched — every car on the grid was powered by the four-cylinder Climax. BRP engineer Tony Robinson: "The FPF was a terrific engine. We all rebuilt our own units but 95 per cent of them were standard. We made some small changes aimed at reliability rather than power, but the only person who made serious mods was Bill Lacey for Reg Parnell (the Yeoman Credit team). But to me the 1500 idea seemed a bit farcical — rather mickey-mouse". Even so, British fans were about to see the effects of sheer driver skill round everyone's favourite track. Motor Sport was slightly sniffy about the new era: "it was a no-holds-barred duel, although it did not look like grand prix racing..." In the end Moss's engine went off, leaving Hill and Salvadori to follow Surtees home for his first F1 win. Tony Brooks, meanwhile, had gone off passing Ireland. "I got onto the dirt, slid wide, hit the bank gently and stalled. Actually I could have restarted — I forgot I had a starter!" Understandable — this was the first year in F1 that an onboard starter was compulsory. So despite gloomy forecasts, the new era produced a blistering race with a new F1 lap record. But Britain's first 1.5 winner doesn't let that victory alter his view. "I think the 1.5-litre formula was a mistake," Surtees says today. "I only had a part-year in the 2.5s, but just as I preferred riding a 500 to a 350, I liked the bigger engines." Another critic was Tony Brooks, struggling with the four-cylinder Climax in his converted BRM 48/57, instead of Bourne's still-unready V8 which would later bring a championship for team-mate Hill. "Those cars were too easy to drive. So much of a driver's skill is throttle control, keeping the wheels just on the edge of spinning. If you can just plant your foot on the throttle that skill is gone. You can't maintain a four-wheel drift with 140bhp. You've got to have more power than the chassis can handle. It was one of the things which helped me decide to retire. Of course I was 12 months too early — the V8 was what we should have had, as 1962 proved!" Meanwhile the Inter-Continental race, first of the British 3-litre series aimed at keeping the 2.5-litre cars alive, had brought Moss the Lavant Cup, at a speed 5mph below the Glover, due to poor weather. Maybe these new rules would turn up some decent racing after all. With its relatively powerful V6 in its first mid-engined chassis, Ferrari would dominate that '61 title fight, with Phil Hill as its champion; but BRM and Climax had their V8s ready for '62. That meant the works teams had the tools to tackle Ferrari, but it pushed the privateers back into their own secondary field. Goodwood had an answer: while the '62 Glover Trophy would again pit the star names and the new racing 1.5s together (minus Ferrari and Porsche), the Lavant Cup would be a second F1 event restricted to four cylinders only. That gave the FPF-powered fish their own pond to swim in, though the field was still headed by some of the top Brits. The Glover, though, was the headline event, and no one was surprised to see Moss head practice in the UDT Lotus 18/21 packing the new Climax V8, a whole two seconds ahead of Graham Hill's P578, its stackpipes declaring that BRM had launched its V8. Yet to prove that the FPF wasn't dead, Bruce McLaren had whipped last year's four-pot T55 Cooper to within tenths of Hill, and the Climax V8 in Surtees' new Lola sounded great. It promised to be a memorable race. And it was. It was the race which ended the career of the wunderkind. Even Moss doesn't know what went wrong, why he speared at undiminished speed into the earth rampart at St Mary's as he tried to pass Hill. It was a blow to international motorsport in more ways than one. That the greatest driver was just as vulnerable as anyone else shook the racing world; and it seemed to make nonsense of the hope that 1500cc power would bring safer racing. That event overshadowed a brilliant contest which saw a spectacular effort from McLaren fail to unseat Hill's BRM from a half-minute lead; behind Bruce the four-cylinder Climax refused to lie down, Ireland and Salvadori taking third and fourth. Yet Goodwood had sketched out the season to come: in the second year of the new formula, you were going to need a multi-cylinder power-plant, and even Ferrari would prove to be short of a couple of pots. Complexity had replaced capacity. And as neither Modena nor Stuttgart was going to sell you an engine, the teams were all about to start knocking on the doors of Climax and BRM. In the gloom which followed the Moss accident, Autosport called the four-cylinder Lavant Cup "a disappointing procession" with McLaren (last year's Cooper) and Salvadori (Lola) chasing Surtees who took an unassailable lead — until he clashed with a back-marker and lost a wheel from his Lola. As Bruce and Roy took the flag, followed some way behind by New Zealand privateer Tony Shelly, Keith Greene was making a big decision as he finished fourth in the Gilby. "The 1.5 series was cheap to do — our budget was £10,000 for both F1 and sportscars — but it tempted too many people. There was too big a skill's gap. It came down to races within races. When Moss or Surtees passed me I'd think 'what am I doing?'. That's why I quit." Despite Greene's disillusionment, the playing field was wide: there were another five F1 races in Britain that year, and that's not counting the Grand Prix at Aintree. If you were lucky you might get a V8 out of BRM, as Tony Marsh did. Or perhaps 'lucky' is not the right word. "Raymond Mays offered me a V8 and an interim chassis. At Brussells I was on the second row of the grid for one heat and finished fourth (Hill won in an injection car), but then had carb problems. After BRM rebuilt it it was slower than the four-cylinder. I got close to a court case until they agreed to buy the engine back." Customers didn't always suffer, though. As Hill and BRM rose steadily to the top of the '62 championship, chased by Colin Chapman's ground-breaking Lotus 25 and its reliable Climax, not to mention the ethereal talents of Jim Clark, Ken Gregory's BRP was one of the teams relying on Bourne for motive power for 1963. Questions about whether customers got adequate attention evaporated at Goodwood that Easter, where the Glover, though no longer opening the British season, brought a shock result. After qualifying a second ahead of McLaren's Cooper and Jack Brabham's eponymous BT3, both Coventry-powered, Hill led from laps 4-36 — then staggered to a halt with a fuel blockage. 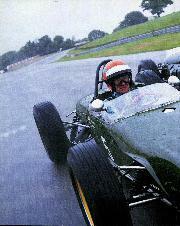 With teammate Richie Ginther already out, that let through Innes Ireland, flying on customer V8 power in his BRP Lotus 24. But this time the weekend at the Duke of Richmond's estate was no indicator of future events: despite rising to 205bhp, the BRM would be surpassed in the title stakes by Jim Clark and the less muscular Climax in Chapman's lighter monocoque. And with Porsche's withdrawal from F1 and Ferrari's disappointing showing even with a new 120-degree V6, it was Brabham who took third spot in the constructors' table. Ironic, because Sir Jack does not look back on this period fondly. "The 1.5-litre formula was a disaster," he says. "It turned into a slipstreaming formula not much better than F2. 1966 could not come quickly enough for me." What was firing the Australian was the prospect of some real power coming back: during '63 the FIA announced that in '66 the limit would double to 3 litres, or 1.5 supercharged. Now that was putting the 'grand' back in grand prix. His opinions of small engines didn't stop Jack putting his new BT7 on the front of the grid, beside the eternal rivals Hill and Clark, for 1964's Easter gathering in Sussex, this time sponsored by the News of the World. And as if to cement the special feeling the F1 world had for this atmospheric meeting, Enzo Ferrari entered two of his scarlet warhorses — and then scratched. The compensation for the patriotic was that every car and engine was British, and so were the top six drivers. It was a textbook result for Lotus, Clark and Peter Arundell finishing one-two — but only after a broken distributor snatched away Graham's dominating lead with two laps to go. Behind Arundell, Trevor Taylor (Lotus-BRM) and Richard Attwood in a works BRM kept Bourne's spirits up. Attwood remembers it well: it was the day he became a grand prix driver. He'd been given a car in its third season, and team patron Sir Alfred Owen was there to watch. "Goodwood is very special to me — hugely challenging. I had an old car, but I did alright; Sir Alfred told me I'd driven a good race and signed me up. And I didn't get another race for BRM all season!" Taylor, too, looks back fondly: "the BRM was a fantastic engine, though ours didn't match the works ones. But I liked Goodwood, the mixture of fast and slow corners, the bumpy surface making the suspension work hard. It was bloody exciting. Of course, we were losing five drivers a year back then — you never knew who was still going to be there at the dinner table in the evening." And the 1500cc limit? "Oh, you just accepted that. If you're a racing driver you just get the best out of whatever car you're given. But the 3-litres were better. Speed never kills — it gets you out of trouble." Maybe the mortality rate of the era argues against that; as always happens, designers were extracting more and more speed even as the formula moved towards its final season. Despite claiming it was concentrating on sportscars, with a V8 of its own at last (plus a back-up flat-12) and Surtees and Lorenzo Bandini driving, Ferrari had a real rival for BRM's new monocoque P261 and Chapman's improved 33. Hollywood couldn't have written a tighter storyline, as the final grand prix arrived and still any one of Hill, Clark or Surtees could lift the crown. No one could say now that limiting engine size meant limited excitement... Well, it was the bike-racing turn-coat, Surtees, having proven his talent so dramatically at Goodwood four years before, who wrapped it up and broke the British makes' monopoly on the economy formula. It would be easy for an engine manufacturer to lose development impetus knowing that a powerplant has only one more season in it. For '65, though, Climax built a 32-valve version of its V8, with power raised to 210bhp. But it was less reliable, and would prove to be a disappointing final flourish — the Coventry firm had decided it could not afford to develop a 3-litre engine. This was its last year in racing. 1965 saw a reversal of what happened in 1961, when so many F2 races became F1 events. Now, with the prospect of privateers bailing out of the new, more expensive F1, organisers switched many races back to the newly-revived F2. 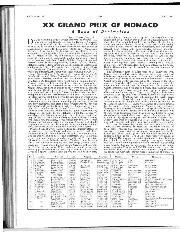 This year there would be only five non-title F1 contests, and Goodwood's Easter Monday offering, now sponsored by the Sunday Mirror, came more than a month after the Race of Champions at Brands Hatch. And it was a filthy day — snow, sleet and hailstorms interrupted the racing. Yet the draw of the Sussex track brought 50,000 people to watch an event which had so often indicated which way the F1 wind would blow. This one was no exception. A struggle between Hill and Clark, resolved in the Scotsman's favour, presaged Clark's brilliant second title year when BRM's ageing V8 proved less and less competitive for Graham, and both were chased hard by Black Jack and Dan Gurney in the rapid Brabhams. The modest All-American hero, who would later electrify the grand prix circus with the crackle of a Weslake V12 in his own Eagle chassis, looks back with mixed feelings on the racing and the lack of safety concerns: "I didn't like the 1500s. They were slower, less demanding — which doesn't mean it was easy! I enjoyed the racing, and I had plenty of moments at Goodwood. And I was there when Stirling had his crash; it's not something I feel super about, but we just accepted the conditions then. Whether it was intelligent or not is beside the point." Goodwood's final F1 event was also where Jackie Stewart posted a warning to the old guard; having won 11 out of 12 F3 races the year before, the young Scot qualified 0.8sec ahead of Hill and Clark and drove a terrific race. A camshaft problem let him down this time, but his talent was clear, and an eventual third place in the world championship confirmed it. That Easter meet was arguably the apogee of Formula One racing at Goodwood; the following year the Sunday Mirror trophy ran to F2. The entry still boasted a galaxy of talent — 12 past or future world champions on the grid — and great racing, but the effort of running a private racetrack, plus increasing safety worries on a circuit with little run-off and bordered by solid earth banks, was telling on the ageing Duke of Richmond. By mid-1966 Goodwood had closed. Yet in the face of all those dire predictions about down-sizing grand prix racing, those involved in the 1500 era look back fondly to those Goodwood Easter meets which acted as a dress rehearsal for the title races. Ken Gregory: "They were great years: none of the politics of today, and so friendly. If you blew an engine another team would lend you one. The paddock was very sociable, it didn't feel as commercial as other circuits." 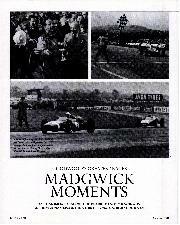 John Surtees concurs: "The atmosphere was wonderful, and there was a novel paddock layout which meant that the public could get all around the cars without being in the pits. It had a certain warmth; at many F1 events they bossed you around – Monaco was always the worst – but everyone at Goodwood was so helpful." 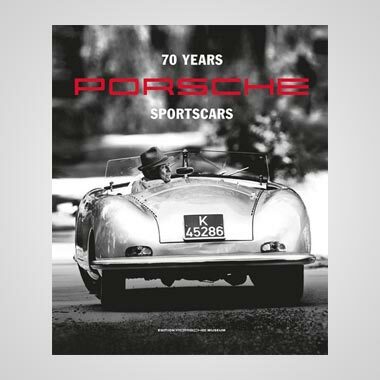 Richard Attwood: "The formula wasn't popular, but actually the racing was great. The best driver's skill always comes through. 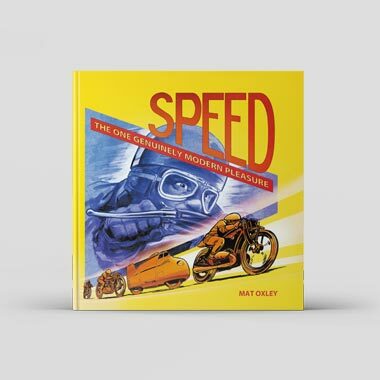 On those spindly tyres the car moved around a lot; you had to be neat because there was no power to correct a slide." This month the Revival Meeting's Glover Trophy gives us a fresh chance to see what he means. 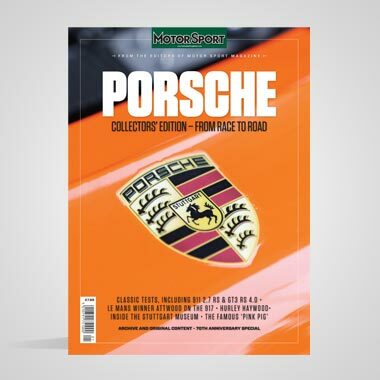 "Out at the back at Goodwood is the only place you'll see that today; it's the only time you'll see the very best drivers making these cars really work as they used to." The sheer challenge of the Sussex track is still imprinted on drivers' minds, too. "Not for the fainthearted!" says Surtees. 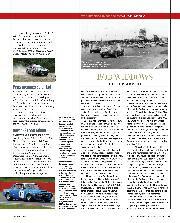 Even Brooks, a critic of the small engines, relents: "I did enjoy driving Rob Walker's Cooper at Goodwood; power is less important there, it's one corner after another. You could say that I was less frustrated at Goodwood than elsewhere! But the sun always seemed to shine, and I liked the garden party atmosphere, with the Duke presenting the prizes." For Jack Brabham it provided a learning curve – or several: "It was the first circuit I raced on in England. An interesting track, good mix of fast and slow corners with some awkward cambers. And of course invitations to enjoy the Duke's hospitality were a bonus!" Drinks up at 'the big house' with the Duke were a unique element of Goodwood, a tradition which Charles March follows today with the Goodwood Ball and the drivers' cricket match. Hindsight always changes perspectives. A formula which many thought would condemn the pinnacle of motorsport to a lacklustre procession turned out as one of those golden eras, with a wealth of driver talent, a wide spread of works and privateer entries, and a huge choice of F1 races in and out of the championship. And of those, Easter Monday at Goodwood made a wonderful curtain-raiser. Perhaps an enthusiastic Trevor Taylor sums up this period neatly: "Everyone looked forward to Goodwood. It had everything – a fast, challenging track and a great atmosphere. I wouldn't have missed it for the world." Both the cars we took to Goodwood raced in the last-ever F1 race there at Easter 1965. Richard Attwood's P261 chassis 2617 was Jackie Stewart's mount and ran in third before having camshaft problems. Stewart won the '66 Monaco GP in it despite having a 2-litre V8 against a 3-litre field. It has been rebuilt by BRM experts Hall & Hall. Brabham BT11 , number F1-1-64, is the car Sir Jack drove to third in that last Goodwood F1 event; it raced in grands prix in 1964 and '65, and Denny Hulme took it to fourth place in the International Trophy in '66. It now packs a 16-valve Climax and is maintained by Sid Hoole Racing. The two chassis represent a contrast in F1. On the one hand the industrial might of BRM ; on the other hand a small new team led by a driver and buying in competitive running gear -- one of the garagistes who would have such an impact on Formula One.